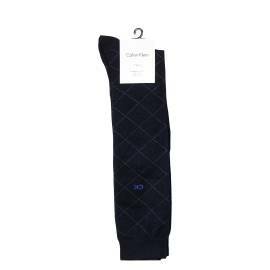 Socks follow the fashion trends and should be matched to each functional style and ideal for making more particular any look, the socks are part of the intimate and are absolutely necessary to better fit the shoes. On Young Shoes find models of many brand to suit all needs: socks to wear for the leisure time in cotton stretch, wire in Scotland for the occasions more elegant, but also for many needs, as those long for boots, or court as the fantasmini, or those in sponge to put to the gym. In other words, the choice is wide and you just to view the catalog to discover all the news of the Moment! 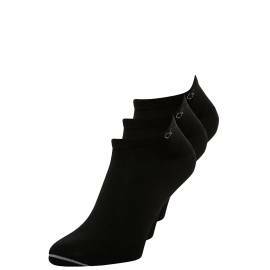 Many BRAND FOR ELAGANTI SOCKS AND SPORT, always in fashion thanks to the infinite models designed by important brand in the sector, the socks are commercially available in various shapes and colors to be worn in the various moments of the day. Well different are instead the stockings to be worn for a stylish evening: the man who wants to be elegant will surely the silk stockings, that enhance any look. There are many models of socks that a man can wear to feel comfortable and intriguing, and not only in the elegant occasions: even quite a few special stockings worn with the boots and a casual dress are a true attraction. Discover the numerous models that you can find on the YoungShoes and Pair to your favorite outfit, thou shalt be a Buzz! Socks FOR ALL TASTES ON YOUNG SHOES: SEARCH YOUR PREFERRED model even the socks are an important detail not only because you use every day, but above all because they are a demonstration of class and style. For a gift idea right watch the wide assortment of socks for all needs for sale on the site YoungShoes: The assortment and the various models proposed by numerous prestigosi brand available guarantee you socks fashion, colored, sports and chic, from match where you want. Between the various brands are those specific to sport, leisure and the elegant occasions. Made with yarn of excellent quality are available in various lengths and shapes, short, long, anti-slip, even briefer, thick socks, for all seasons and for all emergencies. What are you waiting for? Do not hesitate and order from the comfort of home socks you like more, to wear every day exclusive socks and originals with the various outfit. From order to receipt of socks favorites will pass to the maximum 48 hours and you can immediately put them at your feet. Indulge in the fantastic world of socks and live the pleasant experience to buy special products and original. With Young Shoes you have everything at your fingertips and you can choose now!